The Thrift World: Read that banned book...for free! 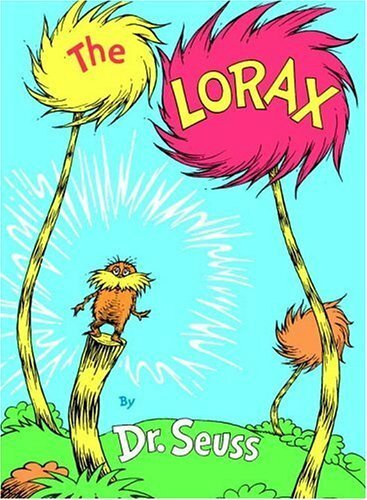 This week is officially Banned Books week. 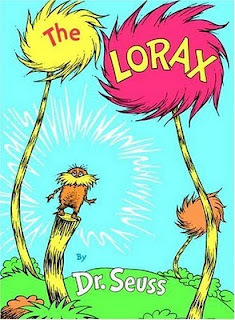 This is the week where we celebrate great books like Huckleberry Fin, The Catcher and The Rye, The Wizard of Oz, Harry Potter, The Giver, even The Lorax by Dr. Seus (cause we all know he's inappropriate for children). These are all books that have been removed from the shelves in libraries, schools and bookstores due to their controversial content. What a great week to download one and read it online for free! There are a couple places on the web that you can read the full text of books for free, and you should know about them. 1 - Project Gutenberg: a source for over 33,000 books you can download and read online, on your phone or on your digital book reader. Perfect for finding classics, like many banned books. 2- Google Books - with 7 million books for you to choose from, it's a great place to search for your reading needs. In this past spring semester, I was required by a class to read a book called "Ecotopia" by Ernest Callenbach. I just happened to search for the book on Google books and I surprisingly found the full text online for no cost to me. 3- ...and there are many, many more places. This article called "Online libraries: 25 Places to Read Free Books Online" does a nice job of analyzing all the websites that provide free reading. Definitely a good read. Also be sure to check out the Kindle app. Everyone wants an e-book reader, and now everyone can have one for free. Kindle is offering a free application for your phone/netbook/laptop that turns your device into a reader of e-books...so download the app and start browsing all these free books! Obviously these freebie websites don't have all the books you're looking for. But before you hop in your car to go to the bookstore, remember to make a stop at your public library...they might have what you're looking for.